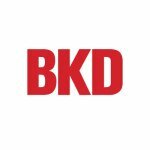 BKD National Governmental Group helps a variety of government groups, including tribal governments and gaming operations, federal and state agencies, public utilities and power agencies, airports and transportation authorities. Our advisors can help with numerous aspects of government accounting, from fiscal accountability and resource management to performance management, budgeting and debt administration. Governmental organizations must demonstrate their responsible stewardship of public funds. Today’s environment makes it more difficult than ever to manage resources while providing cost-effective services that meet the needs of the public.